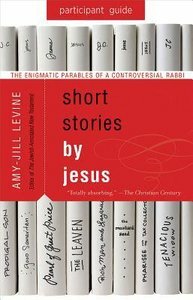 Amy-Jill Levine (Ph.D., Duke University, D.Min., University of Richmond) is E. Rhodes and Leona B. Carpenter Professor of New Testament Studies at Vanderbilt University Divinity School, Department of Religious Studies, and Graduate Department of Religion. Levine has been awarded grants from the Mellon Foundation, the National Endowment for the Humanities, and the American Council of Learned Societies. She has held office in the Society of Biblical Literature, the Catholic Biblical Association, and the Association for Jewish Studies. Her most recent publications include The Misunderstood Jew: The Church and the Scandal of the Jewish Jesus (HarperSanFrancisco, 2006), the edited collection, The Historical Jesus in Context (Princeton University Press, 2006) and the fourteen-volume series, Feminist Companions to the New Testament and Early Christian Writings (Continuum).